FAQs - What to do if your Mac sound is not working after using NoteBurner? Remove DRM from Apple Music and convert to MP3, AAC, WAV, FLAC with ID3 tags retained with fast speed. An all-in-one DRM audio converter to convert Apple Music, iTunes M4P song, audiobook to MP3, AAC, FLAC and WAV. > FAQ Center > What to do if your Mac sound is not working after using NoteBurner? What to do if your Mac sound is not working after using NoteBurner? The sound has stopped working on your Mac after using NoteBurner? 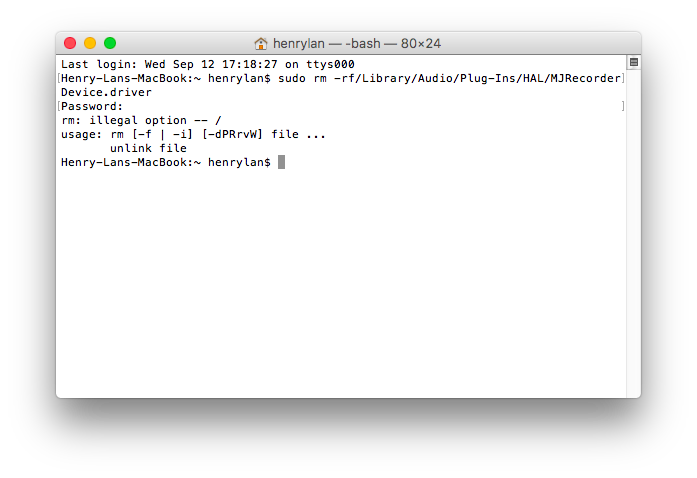 No worries, you can follow these steps to get your Mac's speakers working again. Step 1. Open Terminal. 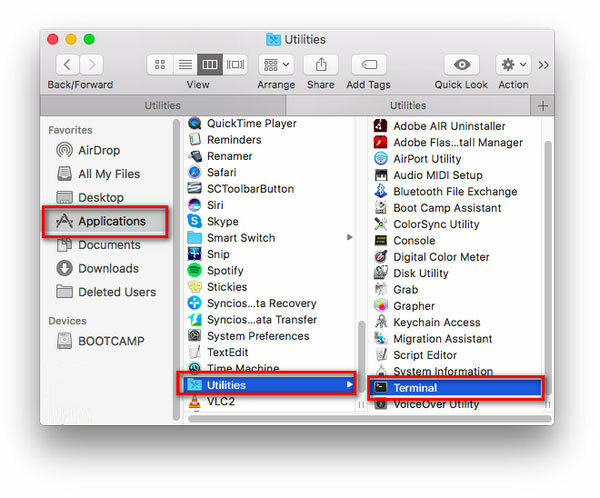 The Terminal app is in the Utilities folder in Applications. To open it, please click Applications folder in Finder, then open Utilities and double-click on Terminal. Step 2. After open Terminal, please right click to copy and paste the following code to the window: sudo rm -rf /Library/Audio/Plug-Ins/HAL/MJRecorderDevice.driver and press "Return". Then, please directly type the password of your Mac and click "Enter" on keyboard. Setp 3. Close the Terminal window and relaunch your computer. support [at] noteburner.com (replace [at] as @ before sending message). Copyright © 2006 - 2019 NoteBurner. All Rights Reserved.